Throughout her worldly travels, 2012 Frankfort High alumna and Fulbright Scholar Jeri Katherine Howell has witnessed the power music has on people across the globe. “It can bridge gaps in culture,” said the musician, who is aiming to do just that here at home with an innovative, trauma-informed hip-hop and beat-making youth development program geared toward middle- and high-schoolers. Howell teamed with Dr. Elliot Gann, a clinical psychologist and executive director of the Today’s Future Sound (TFS), and rapper and TFS senior instructor Elwin Williams III to bring HeartBEATS, a program that uses the power of hip-hop to inspire youth, to the capital city. 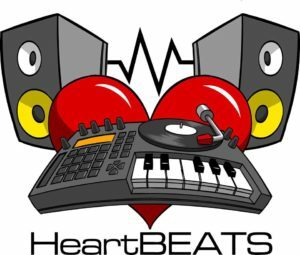 An effective intervention in overcoming childhood trauma and preventing pathways to addiction, HeartBEATS focuses on regulating stress response, trauma symptoms and neurophysiological arousal through beat-making. Through the process, students also build relationships with peers and teaching artists, as well as self-confidence through creative mastery. Local artists will be trained to facilitate HeartBEATS weekly at The Kings Center, a faith-based, non-profit community center at Third and Logan streets. Research shows that access to a high-quality arts education is associated with improved academic performance, better standardized test scores, increased involvement in community service and lower dropout rates, Howell added. In addition to the program at The Kings Center, Gann and Williams will host two free public workshops from 5:30-7:30 p.m. Tuesday, Oct. 30, and Thursday, Nov. 1, at Paul Sawyier Public Library Community Room. Gann will address how childhood trauma affects the brain and potential social outcomes. He will also discuss how the arts and music can help deal with trauma as a culturally responsive intervention, which can be the first step to prevent pathways to addiction and even help addicts in the recovery process. HeartBEATS is funded through an Alumni TIES small grant from the U.S. Department of State. Local support comes from The Kings Center, Frankfort Independent Schools, HHH Arts, South Frankfort Presbyterian Church and the Franklin County Agency for Substance Abuse Policy. The Kings Center is a non-profit (501(c)(3) agency that depends on the generous support of people, organizations, churches, and businesses in the Frankfort/Franklin County community. © 2019 Kings Center. Copyright Faith United Inc. All Rights Reserved.